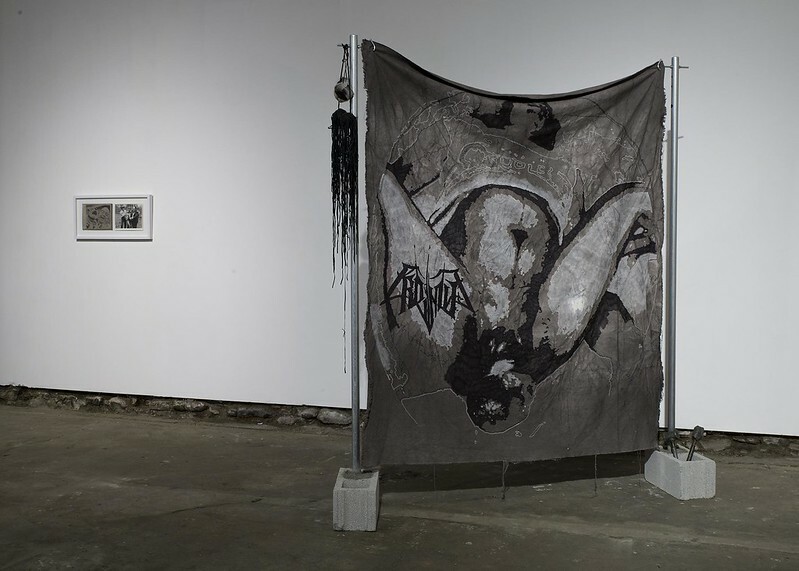 Hard To Please features artwork exploring relationship power struggles and their contribution to the culture of violence as a result of conflicting mutual desires. The exhibit addresses our human tendency to desire what other people desire, imitate others in order to achieve those desires, and react towards other people taking the things we desire. The exhibit includes photography, video, painting, collage, performance, a short story and three-course meal by artists living and working in Philadelphia, New York, Chicago and Austin. 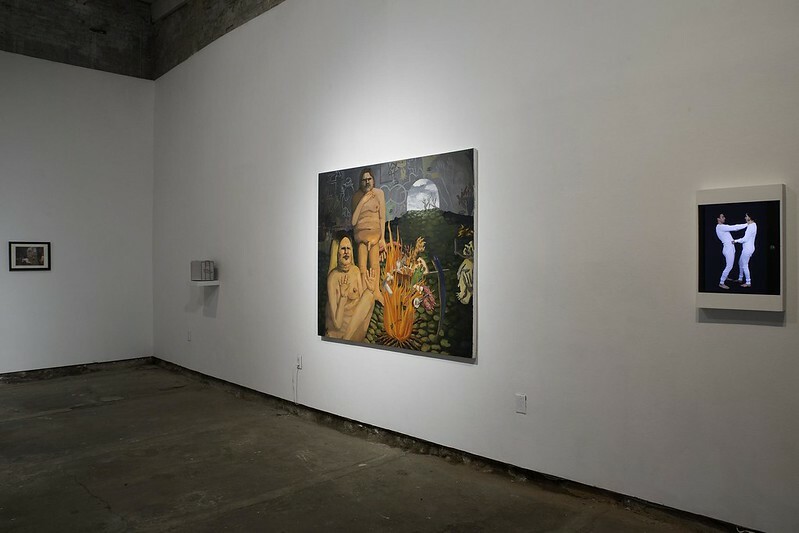 Each work centers around a relationship dynamic where two or more people–competing athletes, coworkers, romantic partners, a mother and her child, and so on–rival for sole possession of something. Rather than establishing who wins or loses a conflict, the exhibit chooses relationships where the power dynamic is ambiguous. Based on philosopher Rene Girard’s theory of Mimetic Desire, Girard suggests that all of our desires are borrowed from other people. The word “mimetic” can be directly translated into “using imitative means of representation”. Girard considers mimetic desire–learning to desire what other people desire–to be the origin of a type of conflict that focuses on the destruction of a rival. His theory explains our competitive and envious behavior, which can escalate into physical violence. 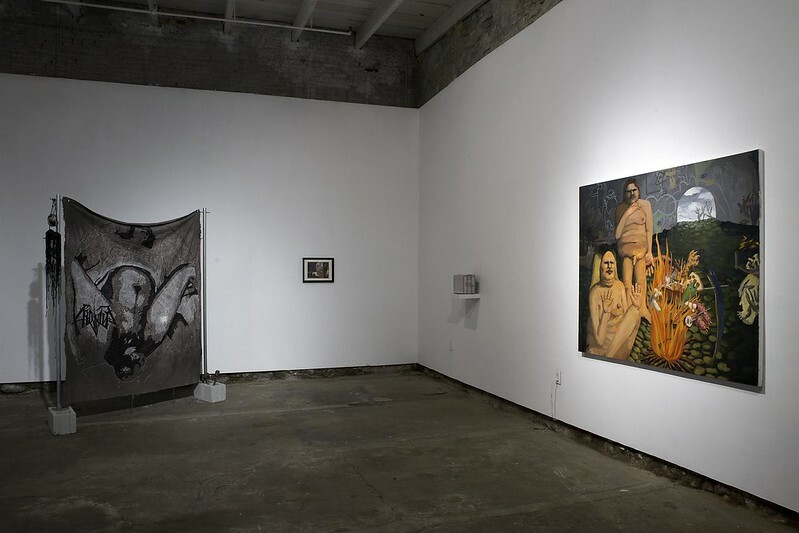 Hard To Please was presented in Little Berlin’s main gallery from November 7, 2014 – November 29, 2014. 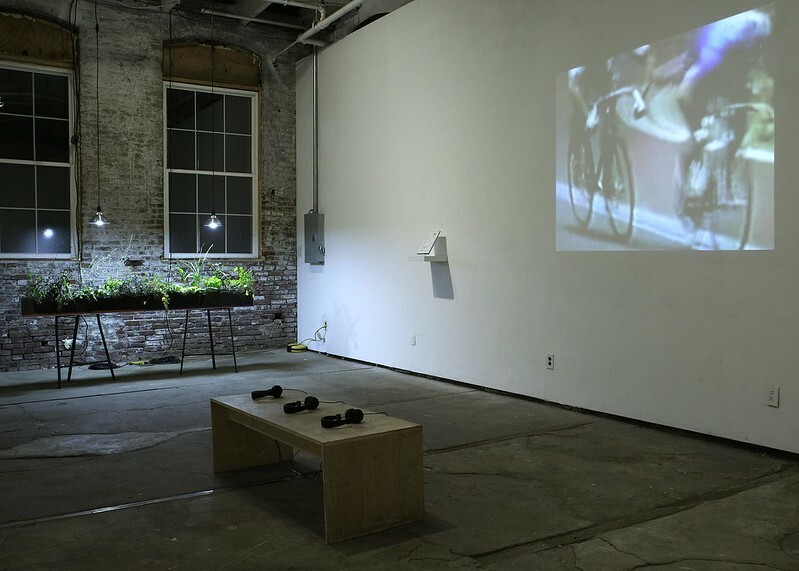 In conjunction with the exhibit, an event took place where New York-based artist, Will Owen concluded his time-based plant piece by cooking a three-course meal and serving it in Little Berlin’s main gallery. The event took place November 22, 2014. Artists: BAIT, Stephanie Bursese, Chiara No, Will Owen, GaHee Park, Dani Frid Rossi, Caity Shaffer, and Alexander Stewart. Installation photographs are courtesy of Sharon Koelblinger.